For fans of the I Survived series--a rollicking adventure from the California Gold Rush! When Jack's aunt is forced to sell her beloved mansion but is still unable to raise enough money to pay her debts, the twelve-year-old goes to California in search of gold to help her. Joined by his trusty butler, Praiseworthy, Jack finds adventure and trouble at every turn. Will Jack strike gold in San Francisco or come home empty-handed? This new edition features illustrations by Brett Helquist. 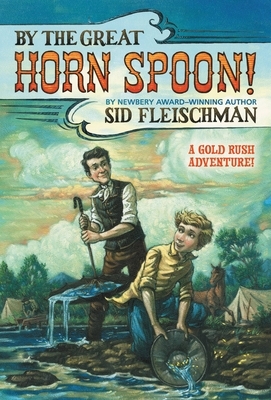 The Newbery Award-winning author of The Whipping Boy, Sid Fleischman is an author of children's books, screenplays, novels for adults, and books on magic. Brett Helquist is the illustrator of many books, including A Series of Unfortunate Events by Lemony Snicket. He is also the author of Bedtime for Bear and Roger, the Jolly Pirate. He grew up in Utah and now lives in Brooklyn, New York.